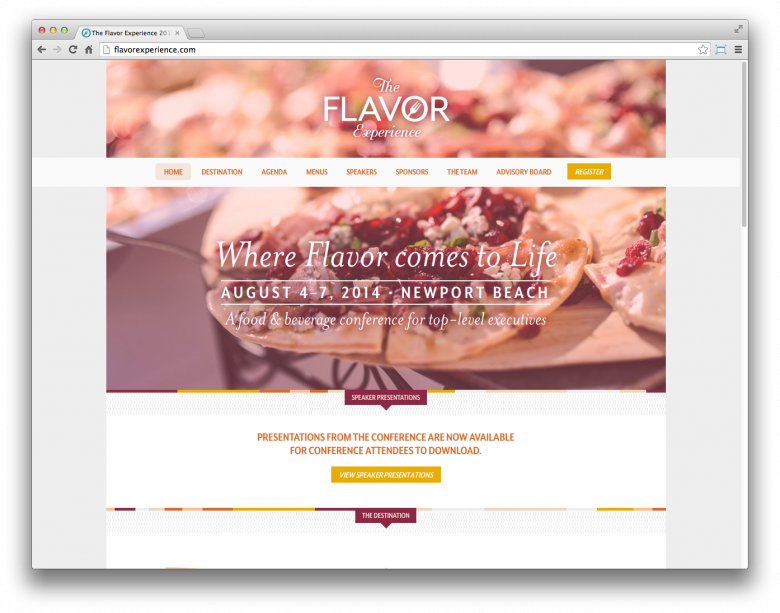 To create a website for a food & beverage conference based on design compositions from another designer and content-managed using WordPress. 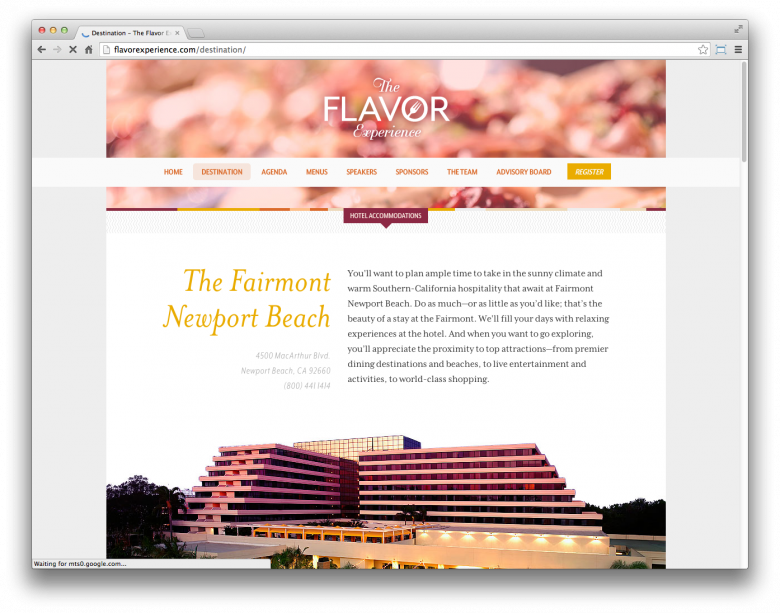 I used multiple WordPress custom post types to create a system for managing the sponsors, conference speakers, and their conference sessions. Sponsors have a custom taxonomy for managing their sponsorship level. Speakers have a custom taxonomy for arranging them into the types of presentations they are giving, as well as custom fields for their company name, job title, and bio. 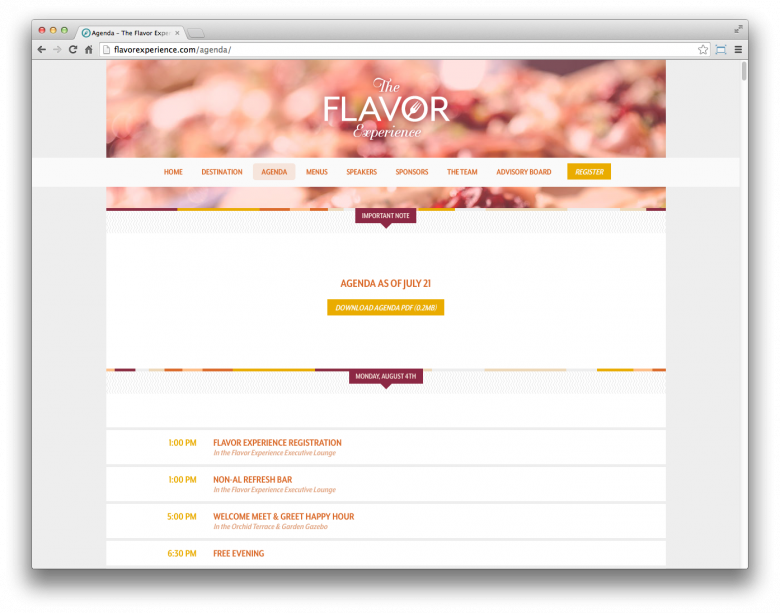 Conference sessions have a custom taxonomy for their day, and custom fields for their time, location, and description. 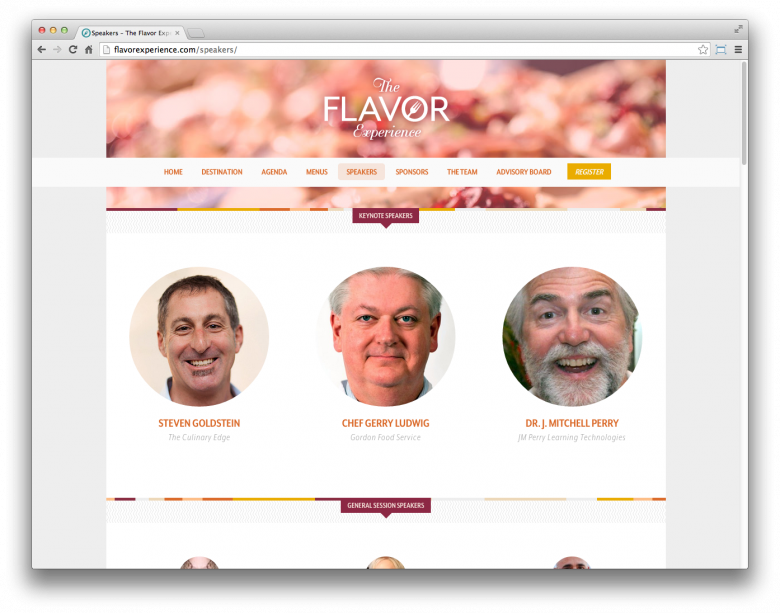 Individual speakers have a many-to-many relationship with their conference sessions which can be managed from the WordPress back-end so speaker’s photos and bios can be quickly added and updated in multiple locations at once.